The slow but steady recovery from the Great Recession of 2008 just hit a milestone: It’s tied for the second-longest economic expansion in American history. 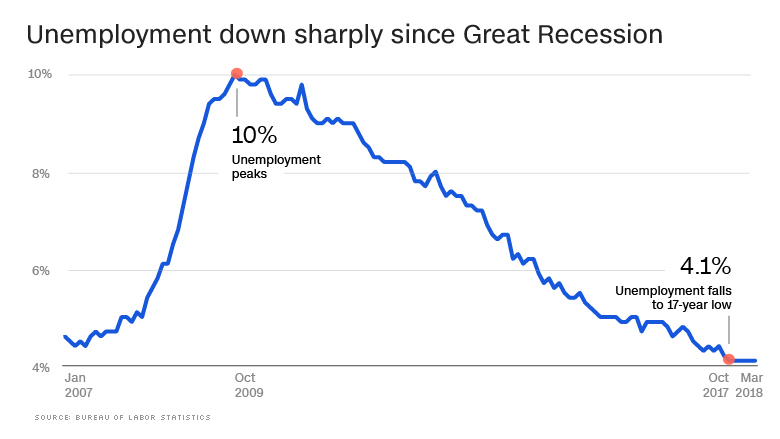 The recession ended in June 2009, which means the recovery is 106 months old through April of this year. That matches the expansion from 1961 to 1969, an era of big government spending under President John F. Kennedy and then President Lyndon Johnson’s Great Society. 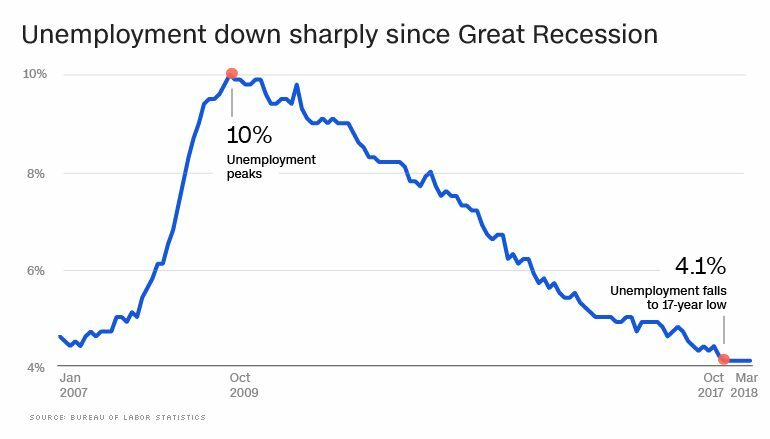 The current expansion won’t set any records for speed as it took far longer than many hoped for unemployment to get back to healthy levels. Wages have only recently begun to accelerate meaningfully. The fact that the economy didn’t roar back to life from the financial crisis extended the life of the recovery as the slow speed prevented it from overheating.